Looking for some influence today, I took a drive through the gorgeous, yet somewhat creepy Lowell Cemetery. It has been in operation since 1841 and boasts some incredible, beautifully ornate tombstones. The Lowell Cemetery is the perpetual home to many local persons of note, including former US Senator from Massachusetts, Paul Tsongas. 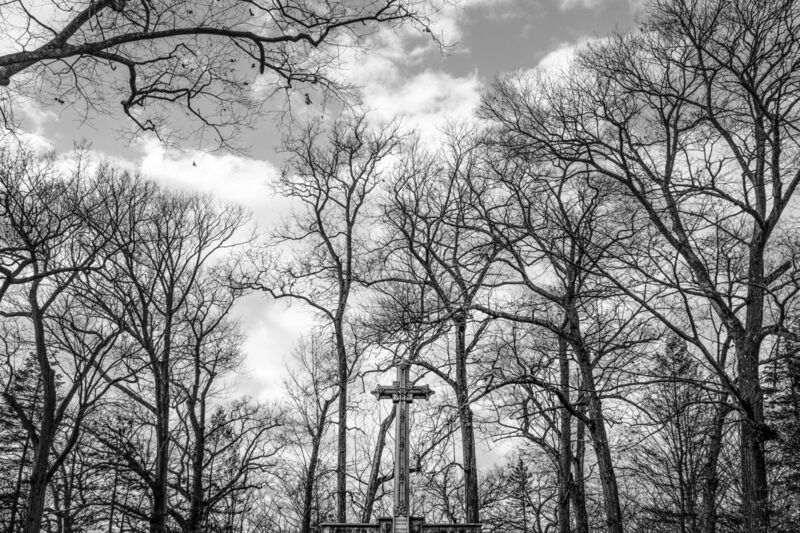 I was particularly struck by this cross towering up against the bare winter trees.